Orlando, FL– This morning, The Honorable Chief Judge Belvin Perry, Jr, has his first hearing presiding over the case against Casey Anthony. At 9:30am, Jose Baez, J. Cheney Mason and team will appear with the prosecution led by Linda Drane Burdick and Jeff Ashton for a case management meeting called by Judge Perry. In the week since the scheduling of this hearing by his Honor, the prosecution has released an additional 300 pages of discovery and filed a motion of supplemental discovery. Camp Casey has resubmitted correctly filed motions already heard by the court under Judge Strickland, notified the court of impending vacations, filed a motion to withdraw an attorney no longer licensed to practice law, and filed a motion to seal the visitor logs of the Orange County jail. 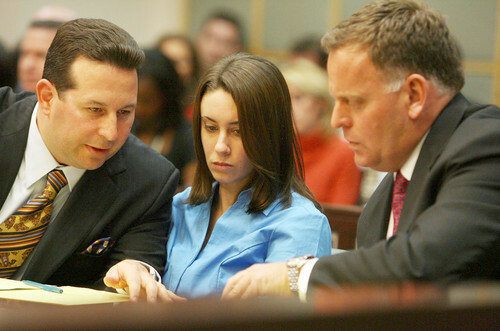 Casey Anthony is serving time in the OC jail for her convictions in the economic charges, and while she awaits trial for the murder of her 34 month old daughter, Caylee Marie. Check back to blinkoncrime.com for this mornings developments. 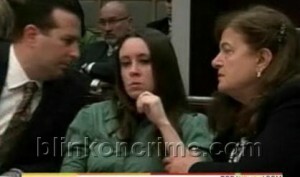 Caylee/Casey Anthony Case: Is Jose Baez Out or Just Vacay? Orlando, FL– Following a Thursday afternoon request for a status meeting request by newly self-appointed-by-way-of recusal, Chief Judge Belvin Perry, Jose Baez filed a notice of unavailability to the 9th Circuit court. In fact, he filed notices of unavailability in every case he has on the docket. Unconfirmed rumors are swirling in abundance today that the Florida Bar Association has finally decided to intervene. This comes on the heels of former Anthony defense attorney Todd Macaluso’s REMOVAL from the California Bar, effective today. It is also noteworthy that recent follow up motions by the defense that were sent to a media outlet in error, prior to their filing, have in fact, not been filed with the court to date. Did J. Cheney Mason due his diligence and discover discovery he was not aware of? Did the long alleged dissention in the ranks result in Jose Baez leaving the practice of law? Late this afternoon, blinkoncrime.com was able to confirm Jose Baez WILL be in attendance this Friday for the management hearing, but will be unavailable for 11 days in June. Apparently someone has given him the heads up that saying you don’t keep track of your billable hours and then billing clients when your not actually is available is a no no. Check back to blinkoncrime.com for the developing details.